Amazon’s 36-hour long “Prime Day” has been experiencing some rather unfortunate hiccups as the online shopping behemoth has been plagued with major site issues that have left users unable to browse deals, place orders or even log in to their accounts in some cases. Still, the show must go on and despite a sometimes maddening shopping experience, deals are still coming down the pike and we’ve gathered a few more to share with you. In case you missed it, the hottest Chromebook deal going is undoubtedly Google’s Pixelbook that has a hefty $250 discount on all three models. Now I know, there are some pretty intriguing devices on the horizon but seriously, Google’s flagship Chromebook is a work of art and this deal is pretty sweet. If you’re looking for a budget device that’s as capable as it is beautiful, my long-time favorite Acer Chromebook 14 is $100 off retail for Prime Day. The 14″, Full HD Chromebook offers a sleek, all-aluminum design and is perfect as a light-duty daily driver. Pick one up for only $199 and marvel as patrons of your local coffee house take a second glance to see if you’re using a MacBook. If you’re looking for a compact Chromebook, the unique ASUS Flip C101 is finally at a price point that makes it worth the money. The successor of the original 10.1″ Flip C100 had a lot of potential at its release but seems to have fallen flat due to an inexplicable price tag of $300 for a minimal 16GB of storage. On the “flip” side, the ASUS C101 offers a unique compact form-factor not found in any other Chromebook. As a second device or a portable travel companion, the 1.9 lbs convertible is really the only Chromebook in its class. Right now, you can grab the Flip C101 at a very reasonable $229.99. 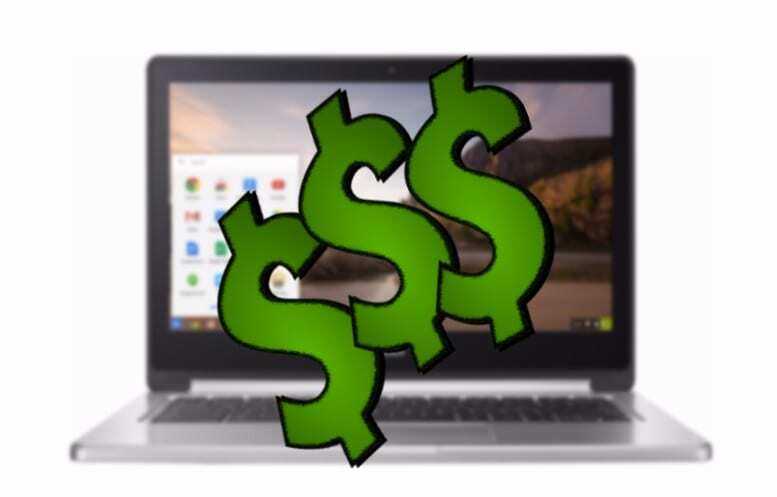 We have always contended that $250 is the sweet-spot for this Chromebook so we definitely recommend it at this price. We don’t talk about wearables much here at Chrome Unboxed but I recently had the opportunity to review a couple of watches from Mobvoi. (reviews coming soon) With the addition of the Google Assistant, I am happy to say my first experience with Wear OS was a positive one and much of that was thanks to the quality of the Ticwatch from Mobvoi. For Prime Day, the fitness-oriented Ticwatch E is on sale for 30% off of retail. That gets you a stylish smartwatch that’s a great workout companion for just over $100. BTW, the battery life is exceptional on this watch. Grab a single pack Google WIFI router for $99. That’s $30 off retail and ten dollars less than you can get it from the Google Store. Like to tinker on your device? Always looking for that tiny screwdriver or perhaps some tweezers to grab that part you can’t quite get grip on? Amazon has a nice electronics toolkit for only $15. Everything you need to replace the screen on your phone or throw some more RAM in your Chromebox. If you’d like to learn more about any of these Chromebooks, check out our reviews section.